Ral Partha Chaos Wars Kickstarter Wave 3 coming soon! 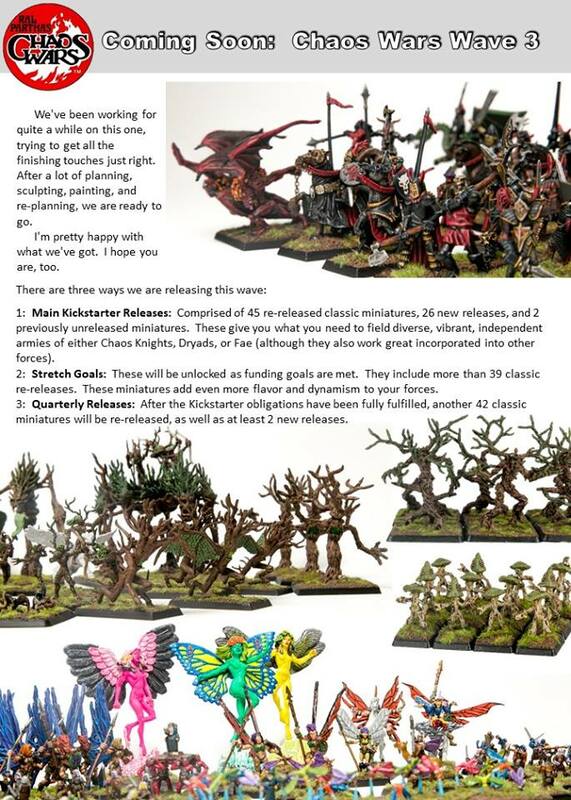 Ral Partha/Iron Wind Metals just posted this on their website and Facebook - details about the Chaos Wars Wave 3 Kickstarter! The post also includes the schedule of how the wave will be released, both within the Kickstarter, as stretch goals and then quarterly releases after. I'm really excited to see the "Previously Unreleased Miniatures!" The previous two waves had some very rare figures, new sculpts and unreleased figures.